Today I am excited to share a New Adult Time Travel book and it's beautiful cover along with Bookish Brunette Tours. Enjoy! Dubbed the Special Key Edition - With interactive content!!! Special Key Edition -New Adult time travel romance not recommended for readers under the age of 17. Ravenhurst ~ a once forgotten legend, locked somewhere within the gloomy confines of this ancient edifice is the key that will unlock the door of time itself. This book contains the first and second book in the series. 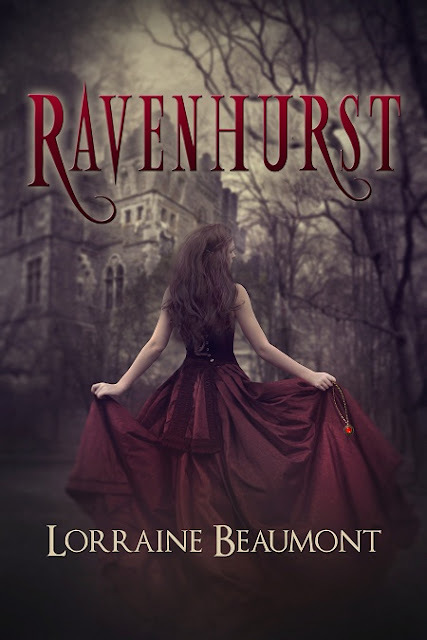 About the author: Author of the Ravenhurst Series -a time-travel paranormal romance, written with an ensemble cast of characters -Forgotten Time, Shadows of Yesterday, Time to Remember are all available now and the fourth installment Dreams of Tomorrow will be coming this year 2013. She also write YA/contemporary urban fantasy with a kick-The Gathering Series about Gargoyles. Elyograg, Gargoyle and The Gathering Series Vol. 1 are now available on Amazon and Barnes & Noble. I think the cover is gorgeous! Oooo this is a beautiful cover! Sounds really interesting too. Thanks for the post Kimba! Great cover! The book sounds intriguing, too. It is beautiful and sounds interesting! Oh gosh, the cover whore in me is going crazy right now! Gorgeous cover! I am marking this one to read! The cover and the title both, thanks for bringing this to our attention. The cover is beautiful! It does sounds really good and something I would definitely enjoy too. Thanks for sharing it. yeah i have mad love for her covers! That cover is stunning, but of course.. it's PhatPuppy Art! Claudia is so talented. This sounds very intriguing. Thank you for sharing it, Kim. I really love the cover, and it does sound rather good. Thanks for sharing! I love the cover too Sharon! This book sounds great and the cover is gorgeous! I love the cover. Gorgeous!